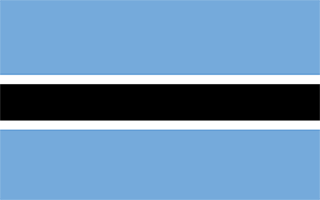 S -21° 25' 0" and E 22° 4' 59"
Kkhoutsiri in Ghanzi District is a city in Botswana about 330 mi (or 532 km) north-west of Gaborone, the country's capital. Local time in Kkhoutsiri is now 01:36 AM (Friday). The local timezone is named Africa / Gaborone with an UTC offset of 2 hours. We know of 4 airports in the vicinity of Kkhoutsiri. The closest airport in Botswana is Ghanzi Airport in a distance of 33 mi (or 54 km), South-West. Besides the airports, there are other travel options available (check left side). Depending on your travel schedule, you might want to pay a visit to some of the following locations: Ghanzi, Maun, Gobabis, Rundu and Katima Mulilo. To further explore this place, just scroll down and browse the available info. Let's start with some photos from the area. D'Kar is a village in Ghanzi District of Botswana. It is located 40 km to the east of the district capital, Ghanzi. The population was 943 in 2001 census. It was first a farm of someone, but then evolved into a rural village, most of the village is owned by the church, but this village also houses a shop and a garage. A tar road runs 1 km from it, but unfortunately there is no tar road in the village itself, only a gravel road. This small village also houses Kuru, a bushman iniative. Located at -21.5333, 21.9333 (Lat. / Lng. ), about 13 miles away. These are some bigger and more relevant cities in the wider vivinity of Kkhoutsiri. These are the most popular locations in Botswana on Tripmondo.